Love is not meant to be easy and you can’t always pick who you want to love. 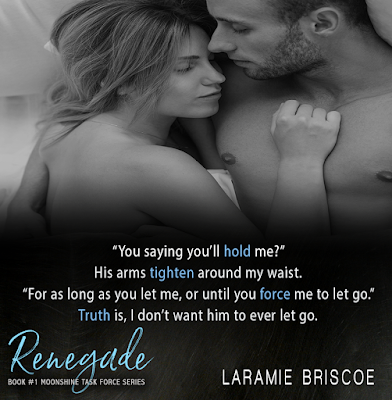 Renegade by Laramie Briscoe is an unconventional love story of two people meant to be together, despite the obstacles. But really, what is conventional? When in the end, love is love. Whitney Trumbolt is thirty-five years old and divorced. Starting over was not easy for her, but after being in a loveless and hurtful marriage, she was prepared to live her life her way and on her terms. She was done being afraid. 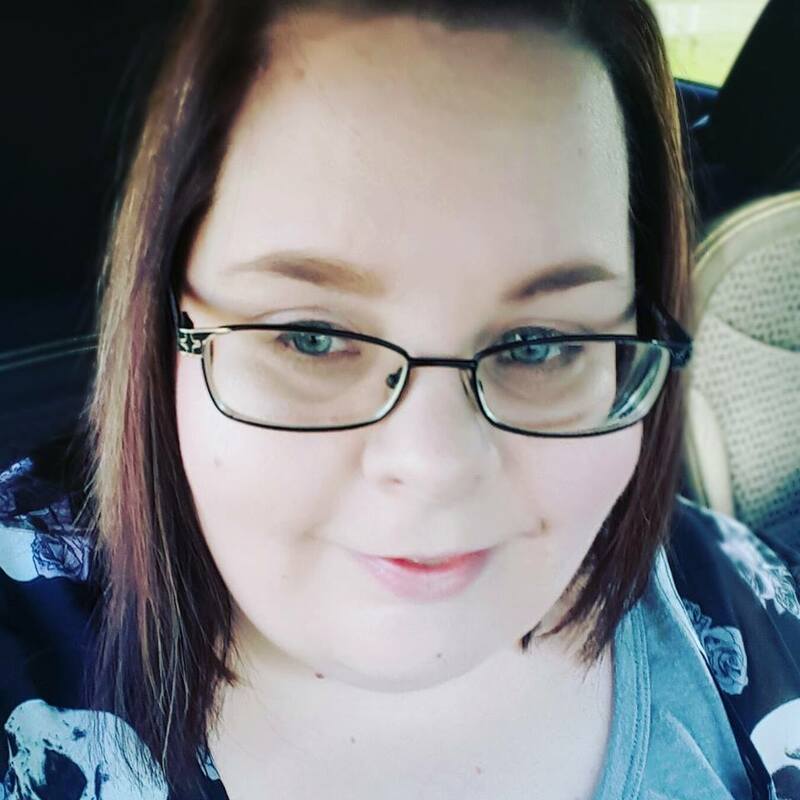 She put her full heart behind making her wedding planning business the best in the area. I liked Whitney. She was vulnerable and trying to overcome her previous relationship to a man that did not deserve her, but knocked her down every chance he got. Even so she was determined and resolute. The last thing she needed in her life long-term was her brother’s best friend, her younger brother’s best friend, Ryan “Renegade” Kepler. Ryan has been through hell and back. After overcoming a difficult childhood and years in the military facing things no one should ever see, he is back home. The only place where he felt safe and any form of love was with his best friend’s family. The Trubmolt’s opened their heart and home to him at an early age. He was grateful, but at twenty-five, he all but gave up on his teenage dreams of Whitney. Ryan was a strong and very determined man. He knew what he wanted, what he has always wanted, but thought he could never have. He was generous, loving and caring. He was the right balance of what a man should be. But he also knew he had a long road to convince Whitney he could be everything she needed, if she only let him. It was only supposed to be one night. Whitney was feeling lonely and a bit lost. After a few drinks, and Ryan fit her needs nicely. For Ryan, it was all his dreams come true. But the next morning Whitney had regrets and Ryan knew he had to give her time. That was until everything changed and walking away was no longer an option. They were inevitably tied to each other. 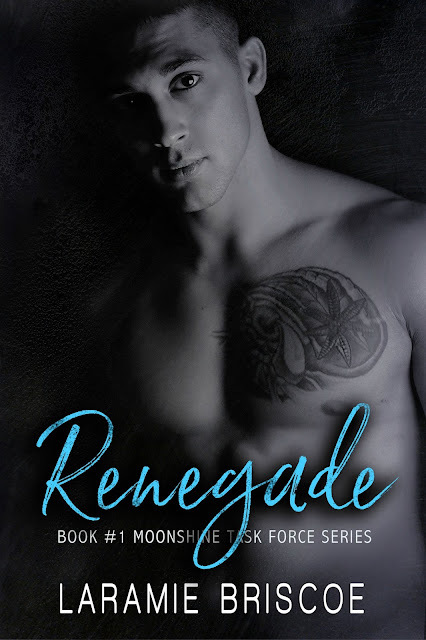 Now Ryan is determined for Whitney to see all that he is and all that he could give her. He may be ten years her junior, but he could make all her dreams come true. Now Whitney and Ryan must find a way to make things works for them. Could it be forever? This was a sweet story of two people who fall in love despite all the complications they are faced with. One where feelings come as they get to know each other and spend time together. I enjoyed this story and look forward to reading the other Moonshine Task Force stories.